President Trump announced Pruitts's resignation via Twitter on Thursday. President Donald Trump on Thursday announced via Twitter the resignation of Environmental Protection Agency Administrator Scott Pruitt. The text of Pruitt's resignation letter is below. 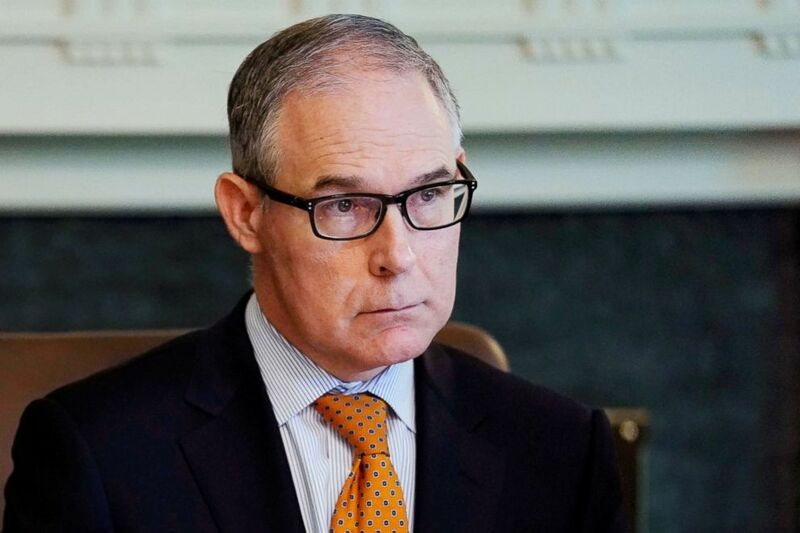 (Jonathan Ernst/Reuters) Environmental Protection Agency (EPA) Administrator Scott Pruitt attends a cabinet meeting with President Donald Trump at the White House on June 21, 2018.